Since 1992, every facet of the transportation industry has trusted Safeguard to enhance safety, reduce liability exposure, and lower operating costs. 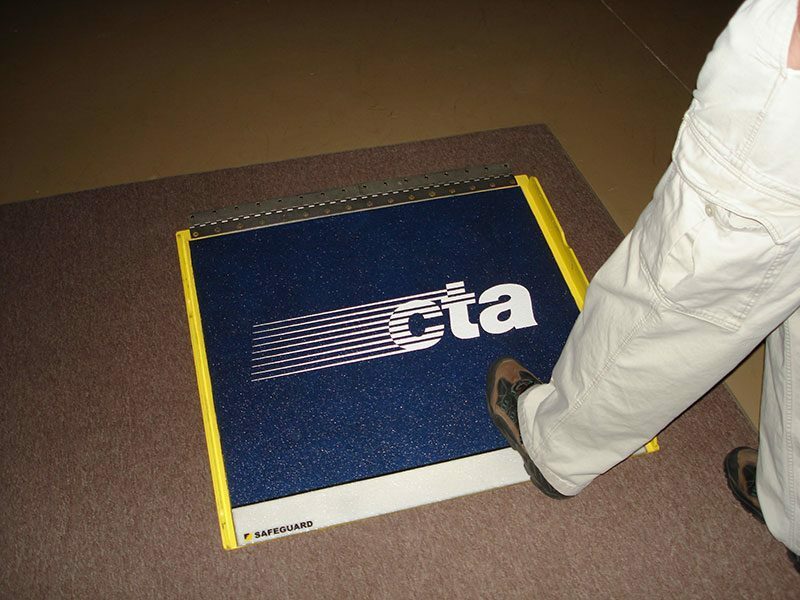 Slippery threshold areas cause accidents for transportation passengers and operators. In fact, slips-and-falls are the second leading cause of injury in the industry. 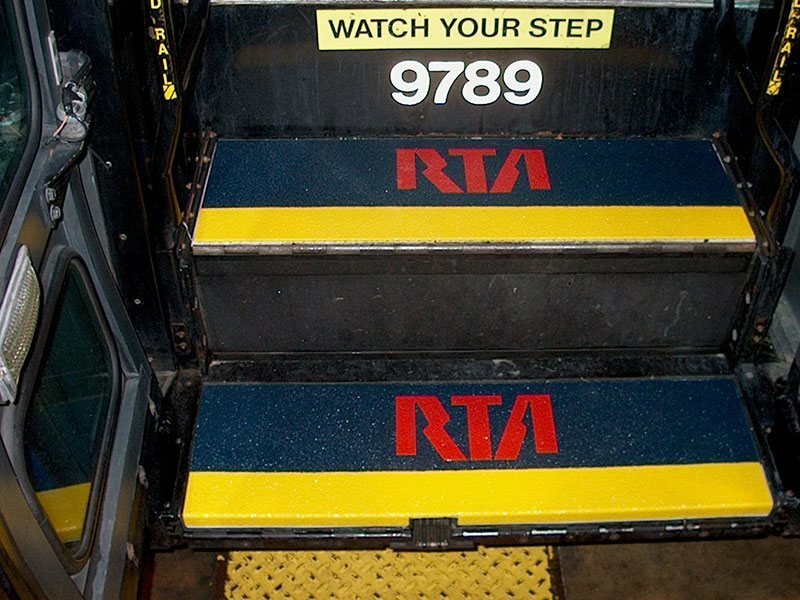 Municipalities pay out millions of dollars in claims every year for injuries occurring on public transit. 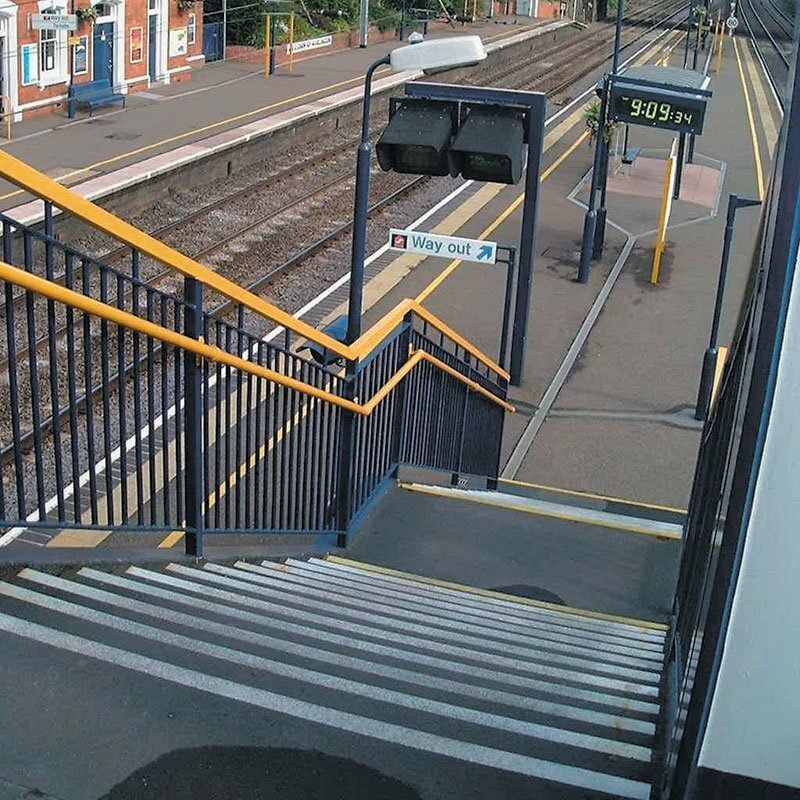 Unsafe surfaces increase the potential for slips-and-falls and once the vehicle, craft, vessel, or train is in motion, an accident is practically a certainty. Diamond plate is not an anti-slip solution! When water, oil, or dirt is introduced, diamond plate becomes dangerously slick. Temporary tapes, coatings, rubber flooring, and steel grating wear down and become slippery over time. 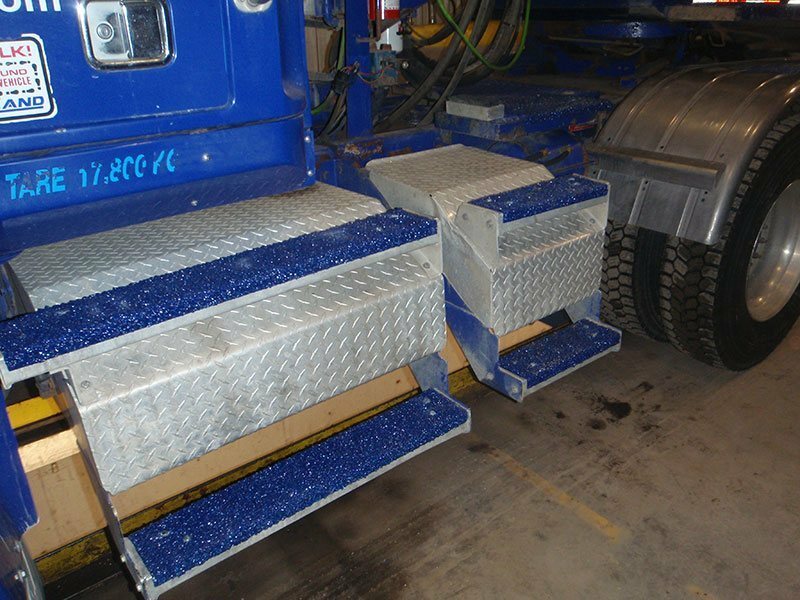 Safeguard® Hi-Traction® and HiGlo Traction® Anti-Slip Covers incorporate an aggressive aggregate that ranks just below diamond on the Mohs hardness scale. That means a long-term, dependable solution with the highest coefficient of friction in the industry. Visit the product pages to see details on step covers, walkway covers, and ladder rung covers. Then request your free sample and see the Safeguard difference for yourself. Used on municipal and school buses, private fleets and charters, airport and hotel shuttles and more. 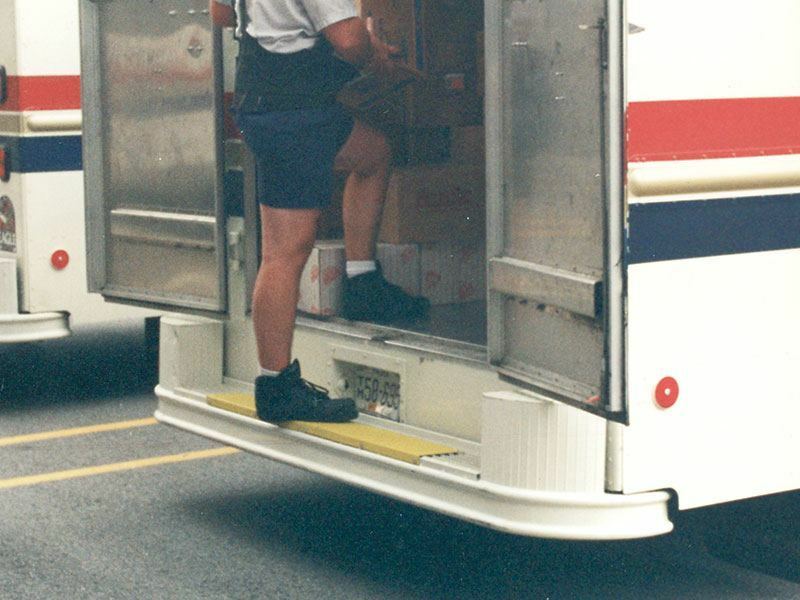 Safeguard Anti-Slip covers comply with FMVSS302 requirements for flame retardancy on public transportation vehicles. 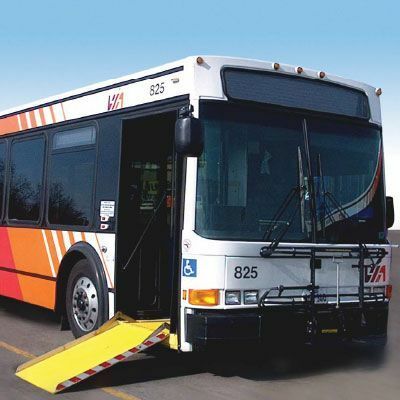 Used on light rail and trolleys, heavy rail, passenger stations, boarding areas and more. 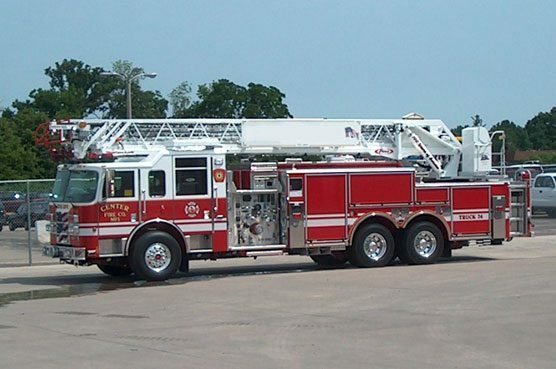 Used on aerial fire trucks, emergency, and airport response vehicles. Used on cement mixers, moving trucks, construction vehicles, agricultural equipment, chemical & tanker trucks and more. 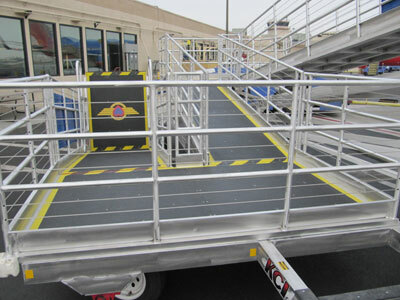 Used for ground service equipment (GSE) vehicles, passenger boarding ramps, jet ways, baggage handling equipment and more. Safeguard supports the ground service industry through our partner, KCI.